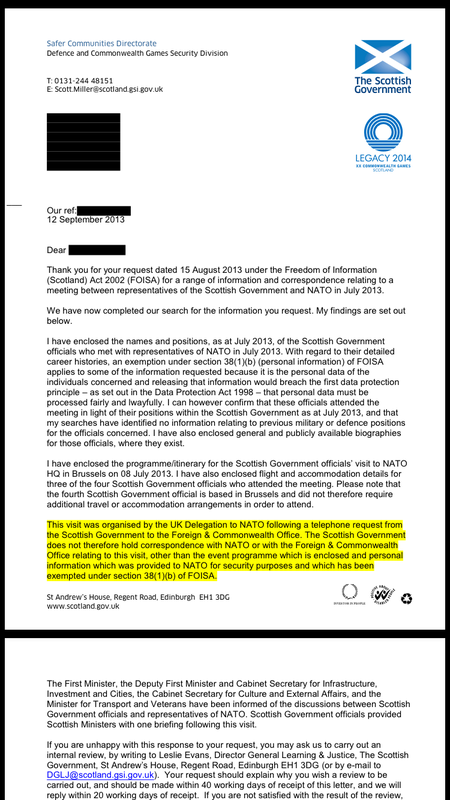 Earlier this month on the blog I published my FOI return surrounding the Scottish Government and NATO’s communications. I was interested in regards to the phone call between someone in the Scottish and British governments to organise this meeting. Following the earlier FOI I placed a subsequent one specifically on the phone call. 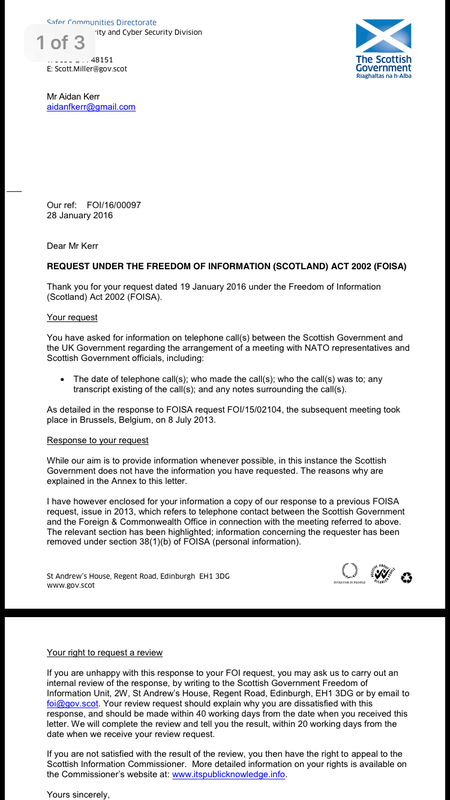 As you see then the Scottish Government does not hold any information regarding this phone call. This phone call could have been where we began to chart the start of an independent Scotland’s defence policy, it is important historically. Aidan Kerr Create a free website or blog at WordPress.com.